Now that Spring has finally arrived in Central Indiana and warm weather is on it&apos;s way, it&apos;s time to enjoy spending time outdoors and exercising in the fresh air. Hendricks County offers beautiful parks and trails to explore. Run/walk events provide a great way to experience this and stay fit. Hendricks County, Indiana, offers run/walk events year round. I&apos;m going to highlight the top events of 2019. They are listed in chronological order, making it simple to mark your calendars. Help support the band, guard and orchestra programs at Brownsburg Schools by running/walking in this 5K. Starting at 9 a.m., the fast, flat course begins at Brownsburg High School,1000 S. Odell St. Enjoy musical entertainment from the middle school and high school band and orchestra throughout the run. Refreshments are provided afterward. Click here to register. Enjoy a nice, spring morning at Washington Township Park in Avon during this charity event. This 2nd annual 5K event is organized by Carpenter Realtors Charity Partners with all proceeds going back to the community. Start time is 9 a.m. Register here. This event boasts a great early season race for both rookies and veterans alike. Beginners may want to participate in the super sprint (shorter distances) and more seasoned athletes may prefer the long sprint. Swim the 50-meter pool, bike throughout Hendricks County with minimal traffic and run a fast and flat course. The long sprint begins at 8 a.m., and the super sprint will immediately follow. The swim portion takes place at the Brownsburg Aquatic Center at Brownsburg High School, 1000 S. Odell St. Join fellow participants after the race for music, awards and refreshments. Register here. Hendricks County residents enjoy this casual, family-friendly fun run series. 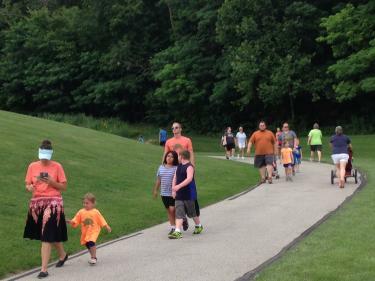 Every week during the summer, runners/walkers of all abilities can venture to a different Hendricks County park/trail. Distance choices include a 5K and 1 mile. Dates and locations will be finalized soon. Changes are coming this year to make this popular fun run series even better! More information will be available soon at Parks Foundation of Hendricks County and right here on the Hendricks County Insider blog. The Rib Run takes place in conjunction with the Hendricks County Rib-Fest at Kingsway Christian Church, 7981 E. County Road 100 North in Avon. This annual festival consists of fabulous BBQ, games, live music, a balloon glow and spectacular fireworks. This year the run will begin in the morning, so participants can enjoy cooler temperatures. By participating in this 5K run/walk, you receive a T-shirt, early morning VIP access to the inflatables and $5 worth of tickets for food and drink at Rib-Fest. The children&apos;s 1/4-mile run begins at 8 a.m. and the 5K at 8:10 a.m. Click here to register and for more information. Start your Independence Day off right by enjoying the trails at Avon Town Hall Park, 6570 E. U.S. 36. A 4-mile run on the Fourth makes sense, right? The event also hosts an optional 1-mile run/walk for those who want a shorter distance. This event kicks off at 8 a.m. Register here. Formally know as Hendricks County Half Marathon and 5K, this event is a favorite among local residents, as well as visitors. The course begins on the historic Hendricks County Courthouse Square in Danville and meanders through rural areas. 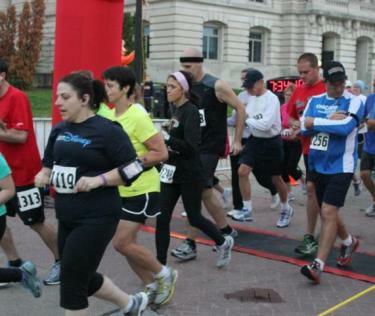 The half marathon starts at 8:30 a.m. and the 5K at 8:45 a.m. After the event, be sure to check out the Fair on the Square consisting of shopping, live entertainment, local foods and much more. Register here. Enjoy a fall evening at the The Shops at Perry Crossing in Plainfield! This 5K race and 1.5-mile family fun run/walk begins at Bru Burger, 2499 Perry Crossing Way #170. After finishing this fast course, join in the after party hosted by Bru Burger. Participants 21+ receive a free beer. All proceeds benefit the United Way of Central Indiana. Register here. Run under the lights at Lucas Oil Raceway, 10267 E. U.S. Hwy 36, Brownsburg. Enjoy the oval and road courses as well as the world famous drag strip! Presented by IU Health West, this event benefits the B&O Trail. Bring the family as a kids mini-dash starts at 6 p.m. 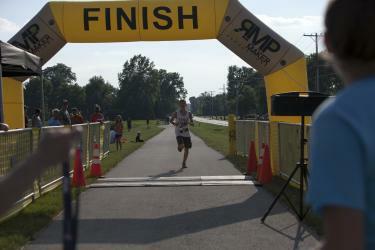 The 5K and 10K begins at 6:30 p.m. Click here for more information. On Thanksgiving, everyone tends to consume many delicious extra calories. Participating in this popular, family-friendly event provides the perfect way to feel less guilty about it. Join fellow runners/walkers Thanksgiving morning at the Hendricks Regional Health YMCA, 301 Satori Parkway, Avon. The 5K course winds around the YMCA trail and surrounding neighborhoods. Start time for the 5K is 8 a.m. and 9 a.m. for the kid&apos;s fun quarter-mile run. Register here. These are just a few of the many run/walk events that take place in Hendricks County throughout the year. Be sure to check our Events Calendar and my monthly blog posts for updates on current and upcoming events. Stay fit, have fun and enjoy our wonderful parks, trails and community events.